Amaji says you will have to follow all my rules, Kulfi says yes I will, Amaji says three things I hate the most, lies, stealing and misbehaving, Kulfi says these are bad things I will never promise, Amaji says and yes you can’t run from here and if you try you will have to face the ghosts, Kulfi thinks baba said ther is no such thing as ghost then why does baba say this, Amaji says take her belongings inside, Kulfi says can I have my Walkman,Amaji says you will get only when you will follow my principals and behave well and when I will believe that I will give you, Kulfi says okay. Sikander gets home,Bebe and gunjan try to talk, sikander says even you are responsible for kulfi missing and even Mohendar bhai has cheated on me and so leave and my daughter alone, Bebe says atleast listen to me, sikander says my kid is missing I want to focus on finding her. Kulfi walks to Amaji dressed in uniform,Amaji says you will call me ama and this is your number and will be recognised and called as per your number and are 168 from today, Kulfi thinks why is that and feels bad,amaji asks Rajan what is time,he says I don’t know,clock is stolen again, Amaji says I will find this thief I hate robbers. Lovely with Amyra asks what will she have, amyra says I’m good, sikander walks in sits with Amyra and asks how is she doing, gives her medicines,amyra makes excuses, sikander plays around with her and gives her medicine. Sikander asks lovely will she come with him to have coffee, Lovely asks why, sikander says why, you are always with amyra and worried about her, come let’s have coffee, Lovely says Amyra is alone, Amyra says yes you go, I have dadi and aunty with me,you two go and have good coffee. Lovely and Sikander get down,Lovely sees police,Sikander says I couldn’t talk to you because of Amyra, and says ask her where is my daughter. Kulfi excited thinking she will see her new class, she is taken to an empty class, Amaji asks are you scared, Kulfi says no it’s so good, there are rules every where so that we won’t forget rules, but where are my classmates, Amaji says study time is over, it’s working time,Kulfi says so cool my baba always believed in keeping me busy in activities. Lovely says Sikander is lying I don’t know, sikander says last chance tell me, Lovely says I don’t know, police says there’s only one way, file report against her and your missing daughter and we will take action, sikander says give me time, he says okay and leaves. Sikander says I didn’t want amyra to see her mother go Jail but now you will be watched and you will loose. Bebe and Sikander say we know you are angry but please try understand our part too and look gunjan cooked food for you have some, Sikander says god knows my Kulfi has it or not. Kulfi walks in kitchen and thinks it’s so good here , all cooking together,I like this place, Baba would love to see me. Sikander says I will eat to keep strong and keep hopes, sikander has food and leaves. Amaji scolds a kid for untidiness, Amaji hands a kid his leave application and 460 to teach kulfi how to roast the buns, she shows to kulfi. Sikander asks for cctv footage of the building. Amaji asks kulfi to show what she did, Kulfi tries but drops the tray, Amaji scolds her,Kulfi say sits heavy, Amaji says use your hands then,Kulfi picks the tray and burns the hand while putting in oven. Pre cap ; kulfi sees her food, and asks where are others, Amaji walks to her and says you stole food, now you will be punished. 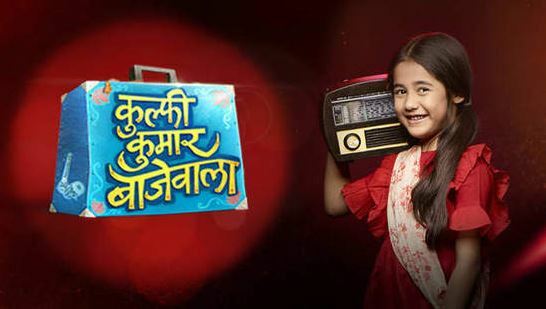 The post Kulfi Kumar Bajewala 27th February 2019 Written Episode Update Sikander yearns to find kulfi. appeared first on Telly Updates.